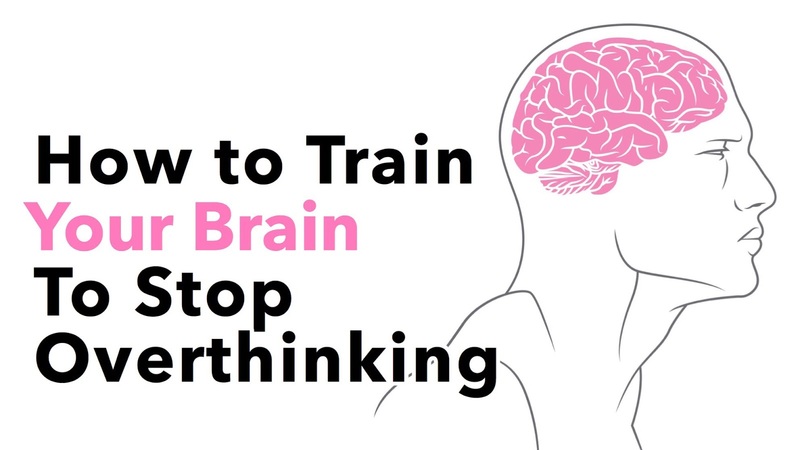 Fun & Inspiration How to Train Your Brain To Stop Overthinking! How to Train Your Brain To Stop Overthinking! Overthinking may be something you want to train your brain to stop doing, especially if it causes problems for you. For example, does your overthinking lead to a negative mood or increase your level of anxiety? Does it stop you from doing things that you need to get done? Are you procrastinating making a decision because you want to weigh all of the possible outcomes? Overthinking can have negative consequences for those who are chronic worriers. Focusing on future uncertainties makes us anxious when we feel a lack of control. Overthinking can also keep us from enjoying the present moment. Let’s explore ways to train your brain to stop overthinking and start appreciating what is here for us in the now. Researchers at the University of California at Santa Barbara showed images of kaleidoscope colors to study participants and then tested their ability to remember if they had seen an image before. Participants who took their best guess at the memory test did better than those who spent time trying to remember colors and patterns. The overthinkers focused their brain power on recalling the visual information that they were presented with did less well than those who did not focus their attention on remembering details. The researchers say that this study shows ‘why paying attention can be a distraction and affect performance outcomes.’ The area of the brain in our prefrontal cortex that is active when we pay attention is the dorsolateral area. Participants with less prefrontal cortex stimulation during the test remembered the images better. In other words, paying more attention to details actually hurt their ability to remember what they had seen. The research shows that a more broad overview approach may be better for recalling complex images. To train your brain to process information this way, try to imagine taking in all of the details at once, as if your brain is taking a photo and seeing all of the pieces of information at once. You can practice underthinking by finding a picture book, opening to a random page and looking at an image for 5 seconds. Close the book and try to recall everything that you saw. The short amount of time prevents your brain from overthinking, but you will be surprised at how much you can recall. Try this repeatedly until you feel more confident in your brain’s ability to process information quickly. There are things you can know, and things you may never know. Overthinkers have trained their brains to focus on the uncertainties because they are trying to solve them. For an overthinker, their brain is like that of a two year old constantly seeking answers. Although some questions can be answered, overthinkers may tend to dwell on those that can’t. Or at least they think they can’t be answered, for example ‘What could they possibly have meant when they said that’ could be easily answered by asking the person to clarify their meaning. ‘I wonder what they think of me’ could be answered by asking the person whose opinion you are overthinking. Either seek the answer to the question that you are overthinking, or tell your brain that you’ll have to be okay with not knowing the answer. Meta-thinking is thinking about how you think, which requires some self-observation. If you’re reading this article and have concerns about your overthinking, you are already aware of your own unproductive thinking patterns.People who experience distress about overthinking usually have negative thoughts about themselves because of their thoughts. Allowing negative thoughts to exist while rejecting them as being part of what we identify as ‘self’ is part of a technique that can help overthinkers. Researchers in the journal Behavior Therapy found that mindfulness-based cognitive therapy (MBCT) helped people to feel more self-compassion rather than negative emotions about their overthinking. People who went through MBCT therapy experienced less stress associated with their thoughts. If overthinking is happening because you need to gain control over a situation, then find one concrete action step that you can do to gain back some sense of control. For example, writing down the problem is simple and it allows your brain to stop trying to remember the issue. Then identify one more thing you can do that will be a step in the right direction, for example, making a phone call to get more information.